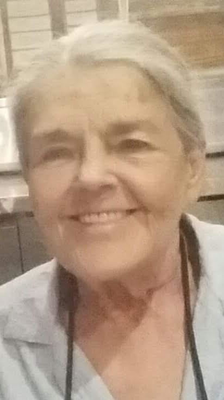 Diana Lynn Fleming, 70 years young and a resident of Silver Lake, was a woman who could never be summed up in a single obituary. Her passing on Friday, January 18, 2019 at 12:15 p.m. was from her home. She was showered with love from her husband and daughter at the time and with love from many others during her recent illness. Diana was born on August 27, 1948 in Prestonsburg, Kentucky where she spent her younger childhood. 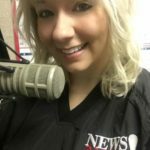 As a young teen, she moved to Kosciusko County where she was living since. She was a graduate of Warsaw High School and had attended both Ball State University and Lincoln Christian College. Diana worked for United Telephone for many years. She was with them through their buyouts by Sprint, Embarq and eventually retired from Century Link. Her roles there were just as numerous, beginning as telephone operator, moving through repair, distribution and eventually spending more than a few years as a linewoman. She was a hard worker and was proud of her strong work ethic. More personally, Diana enjoyed flower arranging and liked finding creative ways to recognize birthdays and holidays through cards to her closest friends and family (even if she was sometimes late). She loved animals, enjoyed cooking and was known for her desserts and daiquiris. In her college years she played basketball and she continued to seek out the fun in life until her last days. Diana’s husband of more than thirty-years, Dave Spangle and daughter, Melissa Fleming survive at home in Silver Lake. Also surviving are her mother, Anna Plotner, born Anna Buckley, of Warsaw; brother, Jimmy (Judy) Fleming of Warsaw; sisters, Shelby (Jerry) Aylor of Warsaw and Geraldine Hall of Prestonsburg; nephews: James (Amanda) Fleming of Warsaw, Brandon (April) Aylor of Warsaw, Scott (Becky) Hall of Prestonsburg and Chris (Jamie) Hall of Louisville, KY; niece, Anastasia Kingsolver Williams of Warsaw; a slew of great-nieces and nephews; several great-great-nieces and nephews and copious numbers of children she cared deeply for – they are too numerous to list. Additionally, she is survived by her granddogs, Daisy May and Josie Marie. Those who preceded Diana in passing include daughter, Julie Campbell; step-father, Loren Plotner; father, Ballard Fleming; niece, Rhonda Fleming-Cole and two grandcats, Zoe and Oliver. Diana chose to be cremated simply and Titus Funeral Home of Warsaw was trusted with her care. A pool party is planned in her memory on Saturday, March 2nd from Noon to 6 p.m. at Strauss-Peabody Aquatic Fitness Facility, 902 North Market Street in North Manchester. The family invites those who knew Diana to come for an afternoon of food, swimming and laughter.